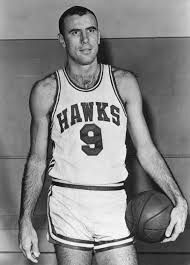 On December 12, 1932 in the midst of the greatest financial crisis in history, Bob Pettit entered this world. Pettit was reared in Baton Rouge, Louisiana. As a youth with a passion, he tried out for his high school’s basketball team as a freshman only to receive the disappointing news that he would not be joining the squad that year. Discouraged, he was forced to wait another year to get another shot at donning a Baton Rouge High jersey. As a sophomore, Pettit again showed up to the basketball tryouts. His second attempt at the basketball team reopened his wound as he was cut from the team once again. After two years of rejection, Pettit’s father took it upon himself to encourage his son to not give up. Pettit spend the offseason practicing his skills so that he would not have his dreams crushed for a third time. Destined for greatness in basketball, Pettit returned as junior in high school to basketball tryouts with a renewed determination. He would then begin to see the fruits of hours of practice and diligence as his name was finally called to join the basketball team. Standing at 6’4”, Pettit quickly gained the starting position and subsequently gained a strong presence in the high school basketball world. After dominant junior season, Pettit carried his momentum into his senior year when he led his Baton Rouge High School basketball team to its first state title in over twenty years. After being nurtured during the violent storms of the Great Depression and living the horror of being cut from the basketball team two years in a row, Bob Pettit finally tasted success and would refuse to let it go. Bob Pettit Even was cut from his high school’s basketball team two times in a row. Despite receiving such discouraging news, he did not give up on his goal. It was only after failure that he saw that the value of hard work pay off. Had Pettit given up in the face of discouragement, the basketball world would have had to wait for the prototype forward position that Pettit provided. Like Pettit, many entrepreneurs will face setbacks more than once. If each businessperson gave up in the face of defeat, then our world would lack innovation and progress. It takes failure to learn necessary lessons, and it takes failure to show the true colors of a person. From the time that Pettit began competitive basketball in high school he began to be recognized for his successful efforts. Recognition of his accomplishments garnered momentum, which led him to continued success in an even greater degree. In a business setting, employees come to work day in and day out and put in all their energy to help the business succeed as a whole. When employees are recognized (or awarded) for their efforts they receive encouragement and, as a natural result, they work more productively. Throughout Pettit’s career in both high school and college, he played the game at the center position. He dominated in that role, so there was no need for him to learn any other position. However, Pettit faced a different competition in professional basketball, and he did not have the size that was necessary to continue playing the position he had spent his entire life perfecting. Not abandon his goals, Pettit learned a new position and was very successful in it. In a business setting, if an employee has tunnel vision about his (or her) position, they may miss an opportunity for great success. As Pettit did, each employee needs to explore options to see where their strengths can be utilized to the greatest degree. Success for Pettit came because he had a good work ethic. Without the drive to do the work necessary to succeed, Pettit would not have made his high school basketball team. Without a quality work ethic, Pettit would not have succeeded in the NBA. 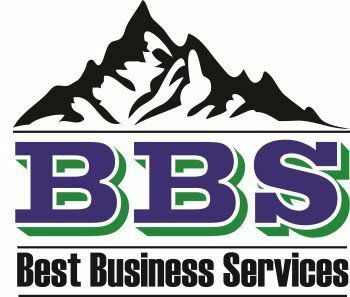 In business, people cannot expect to succeed with a laissez faire attitude. They have to be willing to devote energy, perhaps lots of energy, if they want to experience success.